We’re thrilled to announce that we’ve been retained by Penguin Random House to promote the hotly-anticipated new title from global superstar Yuval Noah Harari, author of the multi-million selling Sapiens and Homo Deus. Riot Communications has a long history with Harari, having handled publicity for his two previous books and, in the process, helped establish him as one of the world’s most exciting thinkers, with fans including Barack Obama and Mark Zuckerberg. Both titles remain in the top ten bestseller lists years after publication. 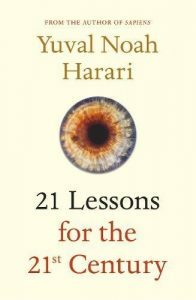 After illuminating our past and possible futures, his new book, entitled 21 Lessons for the 21st Century, will see Harari apply his trademark clarity, vision and refreshingly broad perspective to the here and now, helping us to grapple with a world that is increasingly hard to comprehend. Written in easily digestible, bite-sized chapters, it will take readers on a journey through some of today’s most urgent issues, including terrorism, fake news and immigration, as well as turning to more individual concerns, from resilience and humility to meditation. 21 Lessons for the 21st Century will be published on 30th August 2018 by Jonathan Cape, an imprint of Vintage, and Riot will work closely with the in-house team. 2018 has gotten off to a great start here at Riot HQ as this week we learnt that our La Belle Sauvage launch campaign has won a PPC Quarterly Award. Not only that, but we have THREE of our campaigns shortlisted for the Annual Award. 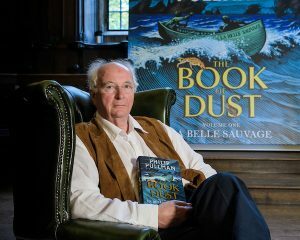 Two of our campaigns – World Book Day and Moomins – are going head to head in the Generic category, whilst our work on Philip Pullman’s smash-hit ‘equel’ La Belle Sauvage is a contender in the Children’s category. The winners will be announced at a dinner in London of Monday the 5th of February. Keeping our fingers crossed! 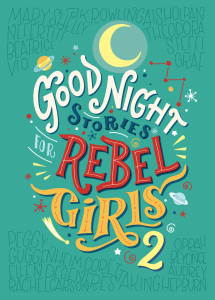 Riot Communications has been engaged to promote the second volume of the smash-hit bestseller and agenda-setting book, Good Night Stories for Rebel Girls by Elena Favilli and Francesca Cavallo. The first volume – which celebrates the lives of 100 extraordinary women, providing real-life role models for girls in fairytale form – has become an international phenomenon. It was the most successful Kickstarter campaign of its kind, and has now sold over a million copies worldwide since publication last year. The LA-based authors decided to create volume two after being inundated by fans with suggestions for a second edition. Riot Communications will promote the UK edition, published by Timbuktu Labs – the children’s digital media company created by both the two authors – on 28th February 2018, in time for International Women’s Day. Photo credit: Anthony Upton/Photocall Productions. Last week I had the huge privilege of working with the team at Oxfam to launch a new partnership between the aid and development charity and Riot client, Moomin Characters. The partnership centres around Moomin creator Tove Jansson’s short story The Invisible Child, which is about a little girl who turns invisible after being badly treated by the woman supposedly caring for her – but reappears and regains her place in the world after being shown kindness and respect by the Moomin family. The book is on sale at Waterstones, Oxfam shops and the Moomin Shop Covent Garden with the full £4.99 price going to support Oxfam women’s projects worldwide. It has already been a huge success, with a reprint of the book being ordered just three days after the launch thanks to such high sales. 1. Authenticity. The partnership between Moomin Characters and Oxfam came about in an organic way, and fortunately it was a very natural fit – the two organisations hold the same values of compassion, kindness, tolerance and respect for others, and the story of The Invisible Child mirrors Oxfam’s women’s projects so well. If you’re tasked with identifying potential charity partners for your clients, make sure there’s depth and logic behind your suggestions – and that you’re not just doing it because it looks good. 2. Occasion. Partnerships such as the Moomin/Oxfam one require the generosity and hard work of a whole range of people. A launch event is a great way to not only announce your partnership to the media, but also to thank and reignite the enthusiasm of everyone who has contributed to making it a reality. We launched The Invisible Child campaign at the Finnish Ambassador’s Residence in Kensington Palace Gardens, where the Ambassador gave a speech about how the partnership was fitting given Finland has always been a leader in women’s rights (adding to the campaign narrative) and videos of Oxfam’s women’s projects were shown (reminding everyone of the reason we were there). 3. Collaboration. PR doesn’t work in isolation, so it’s crucial to mobilise as many networks as you can to help create noise. Waterstones and Oxfam both briefed their shops to share news of the campaign across their social media channels and we were blown away by how enthusiastically they rose to the challenge with photos of the beautiful in-store displays they had created. We also worked with Moomin.com to arrange for the story to go live simultaneously in English, Finnish and Swedish across all its channels. Provide your partners and supporters with assets as early as possible so they can plan their own communications. 4. Appropriate ambassadors. Right at the beginning of the campaign we briefed Oxfam on the demographics of Moomin fans so that they could find someone from their amazing network of celebrity champions who matched that and could connect both audiences. 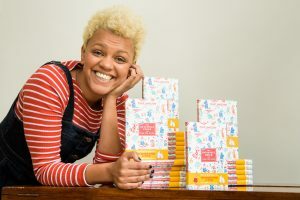 That person was the brilliant Gemma Cairney, who spoke so passionately about her trips to visit Oxfam projects at the launch event. Gemma’s very genuine engagement with Oxfam’s work was what made her the perfect person to front the campaign. We also provided Moomin goody bags, including copies of The Invisible Child, for Oxfam’s wider network of supporters, so that they could share news of the campaign on social media. The total potential online reach of ambassador activity so far is a giant 2,343,000 people. 5. Persistence. An essential quality for any PR person, but particularly relevant here when you’ve got a reasonable chance of being told by at least one journalist that charity partnerships are ten-a-penny. Don’t be afraid of returning to contacts you’ve already pitched to after the campaign has launched, letting them know how successful it’s been – it could be what they need to convince them to cover it. If your campaign is to run over an extended period of time, milestone announcements will help keep the partnership front of people’s minds and encourage more supporters to join the fundraising effort. As always, persistence is key!